Designer Sabyasachi Mukherjee, who completed 20 years in the business, launched a new collection over the weekend. Titled Kashgaar Bazaar: In Retrospect, the collection was launched in collaboration with French fashion designer Christian Louboutin. Presenting some pics from the event. One look at Alia and anyone can go green with envy. Isha Ambani kept her look elegant and chic in a black layered sari. Ananya Panday upped the glam quotient in a black top worn over an embellished skirt. Aditi Rao Hydari looked stunning in a printed sari. Farhan Akhtar and Shibani Dandekar rocked a casual style. 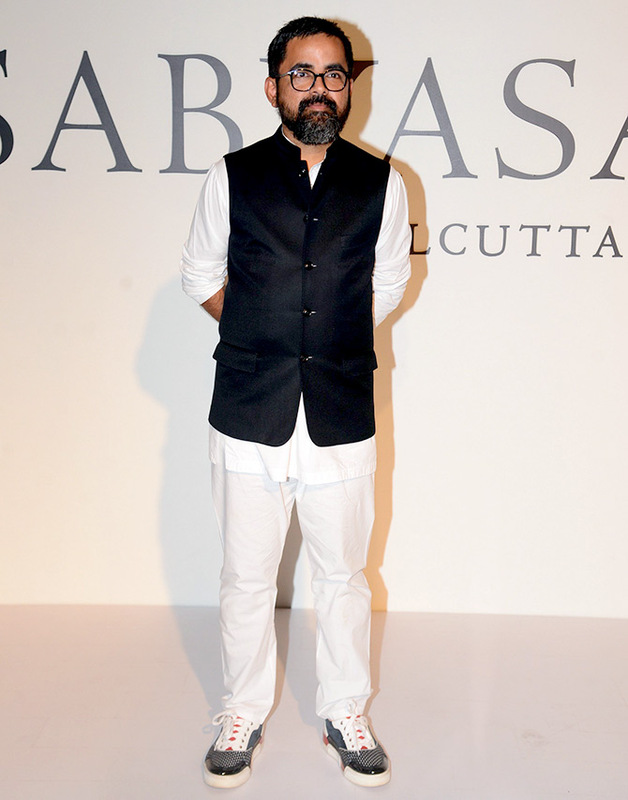 Designer Sabyasachi Mukherjee continued his love affair with black and white. Anurag Kashyap shared the frame with his daughter Aaliyah and Kalki.